Most customers would choose the latter as it seems like a more professional looking company. The big secret? It doesn't take a fortune to have a professional looking e-mail account, in fact it may even be free! Note: For explanatory purposes let's pretend we are setting up our new e-mail address of "info@ottawaflowerstore.com"
1. Create a Gmail account (Google's E-mail client) by visiting www.gmail.com and clicking on "Create an Account". Follow Google's prompts until you have your "@gmail.com" address and password. NOTE: Leave this browser window or tab open, we'll need it later. b) Setup an e-mail forwarder for the e-mail address you want to create (i.e. info@ottawaflowerstore.com) and forward it to the "@gmail.com" you chose in step #1. For our example "info@ottawaflowerstore.com" would now be set to forward to "ottawaflowerstore@gmail.com"
TIP: You may need to check out the help menu or inquire with your domain registrar for help for either of the above steps. 3. Now that we have the e-mail address created and an e-mail address forwarding to our Gmail account, we need to configure Gmail properly to send mail out. Return to the Gmail window/tab, click on the gear icon drop down menu and select "SETTINGS". 4. Click on the "ACCOUNTS AND IMPORT" tab. 5. Scroll down to where it says "Add another email address you own". 6. A Popupbox should open. 8. In the e-mail address field enter your new e-mail address that you created in step #2, above, with your registrar. 9. Uncheck "Treat as an Alias"
13. In the Password section enter in your Gmail address' password. 14. Change the Port to read "465"
15. Choose "Secured Connection using SSL"
a) a verification screen will show up. In this case, skip to step 24.
b) An error message in red letters will show up. In this case, continue below with step 18. 18. Leave the previous window open and return to your G-Mail mail account inbox. 19. Look for an e-mail from "Google". TIP: If you don't see it yet, wait at least 5 to 10 minutes as sometimes it takes a while to arrive. 20. Open the e-mail from Google and select "http://support.google.com/mail?p=client_login" link from the e-mail. 21. On the newly opened window select the "https://accounts.google.com/DisplayUnlockCaptcha" link. 22. Click on "Continue" or follow any instructions on this page. 23. Return to the G-Mail set up screen still open from step 17 and retry steps 11 to 17 again. 24. Gmail will now send you a verification email to your new email address. Open the e-mail and follow the instructions. Enjoy your new professional e-mail from the cozy comforts of Gmail! 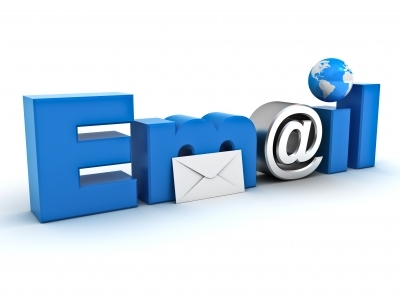 Need help with creating your professional e-mail address? Suddcorp Solutions can help!